Web developer Rich Yessian involved local preservation groups early and often to gain permission to unite home, office, and outdoors at an aged warehouse that, according to Sanborn Maps, predates the Civil War. "The anticipation going in was that there would be a lot of pushback," notes Hoertdoefer, wryly. But his client’s wishes were clear. The interior nods to its host structure’s heritage with some walls and the ceiling clad in reclaimed oak from a Kentucky farmhouse. Custom pendants by Mickus Projects hang above a Curzon table from Modloft. Inspired by the condos that crown taller cities like New York, Rich dreamt of living somewhere that collapsed the distance between work and nature. When his company, Blue Ion, relocated to the top floor of a warehouse downtown, he saw his chance. The staggered terrace, lined with cast iron plants (Aspidistra elatior), leads up from the living room. "In our previous office, there was a ladder that took you onto the roof," he recalls. "I thought that was really cool, to have the ability to pop up and hang out." Hiring Hoertdoerfer, who oversaw the renovation of Blue Ion’s workspace, Rich set out to determine if the warehouse—and city—could support a rooftop addition that replicated that natural connection. Rich and his girlfriend Arielle sit on an IKEA sofa; the windows are from Charleston Glass. The proposal Hoertdoerfer came up with, which called for installing a new, double-height story on a large steel foundation, seemed certain to run afoul of traditionalists. Twenty species of drought-resistant succulents, punctuated by solar panels, carpet the top of the home. Green Roof Outfitters installed the plants in modules. Yet urban renewal can make strange bedfellows. The neighborhood had recovered slowly after Hurricane Hugo hit in 1989, and it was still in flux when Rich arrived more than 20 years later. 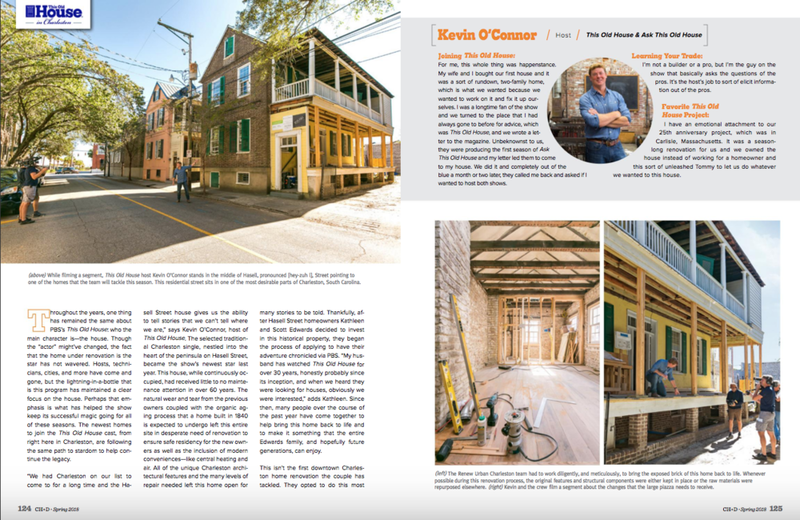 "There was a sweet spot for this project where the preservation groups felt comfortable supporting it," says Hoertdoerfer, adding, "If it was two blocks in a different direction, they might have been more reluctant." The architect took that blessing and teamed with Charleston Plantworks and general contractors Mark Regalbuto and Andy Meihaus of Renew Urban Charleston to design a perch that provides outdoor interludes during Rich’s downtime, beginning with an elevator that opens onto a patio. From a set of barn doors, tigerwood steps rise toward an alfresco dining area and a deck with a hot tub. When Rich hosts gatherings or unofficial office happy hours here, operable louvers, arranged in a bold, abstract pattern, offer privacy. The network of terraces culminates in a succulent-planted roof with views of downtown and the Arthur Ravenel Jr. Bridge. It’s possible the home’s runaway success represents a shifting attitude towards modernism in one of the country’s oldest cities; last November, it was honored with a Design Excellence Award by the municipality. But for Rich, it’s a personal triumph, one he’s still marveling over: "I’m just surprised it played out as well as did without it having been done before in Charleston." 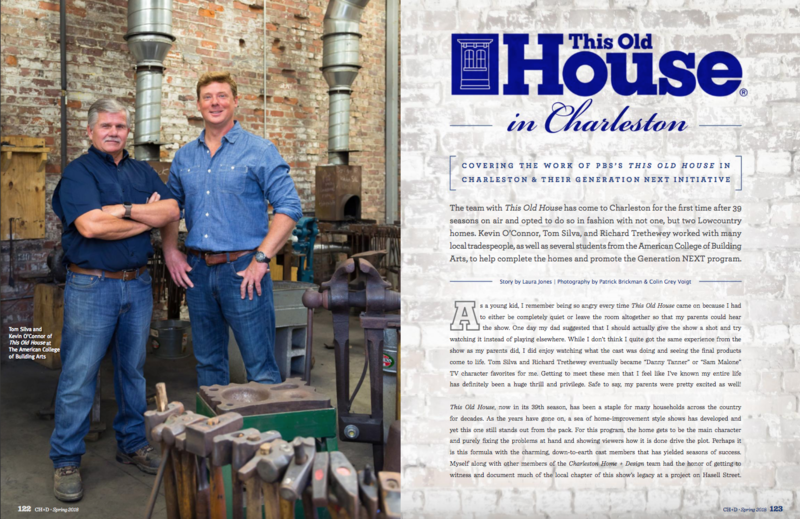 After nearly 40 years in production, the popular home improvement show on PBS, “This Old House,” finally will feature two very old houses in Charleston. “We had been hoping to get to Charleston for so long that it started before my tenure,” says the show's Kevin O’Connor, who took over as host in 2003. “The stars finally aligned, which was great." Filming started last April and lasted, on-and-off, for 10 months for the Massachusetts-based production. 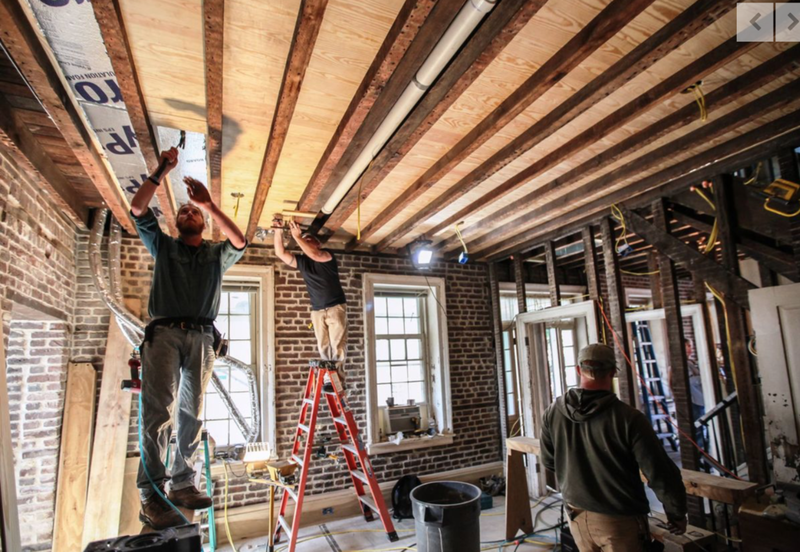 Starting at 8 p.m. Thursday, the first of 10 episodes focusing on the renovations of two houses in Charleston will air on South Carolina ETV. Normally, ETV airs the show, which has won 18 Emmy Awards, at 9 a.m. and 5:30 p.m. ETV’s Glenn Rawls says the network added the Thursday night shows to give South Carolinians an extra chance to see the Charleston episodes. “Preserving these local historic homes while modernizing them is going to be a fascinating story,” Rawls says. The primary focus of the show will be on a brick “single house,” built in the 1840s, owned by Dr. Scott and Kathleen Edwards on Hasell Street in the historic Ansonborough neighborhood. The project includes renovation of wood floors, plaster and medallions, connecting the kitchen house to the main house, adding a dining room and living suite, as well as landscaping. The other house is an 1890s “shotgun style” house in the Elliottborough neighborhood owned by Judith and Julia Aidoo-Saltus. The house has been owned by Judith’s family for generations, but has not been lived in for a decade. While both houses will be featured in each episode, as demolition on parts of the Ellliotborough house began, it became clear that the renovation would take longer than the originally envisioned time frame. When the house is finished, the "This Old House" team will come back to film a follow-up, but it will not be this season. 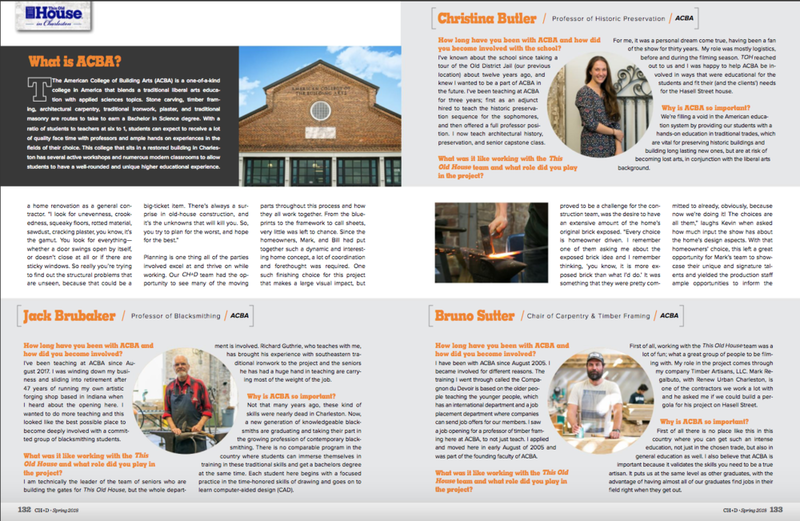 Besides the projects, the episodes will put the American College of Building Arts in the national spotlight, which dovetails with the “This Old House” show’s Generation NEXT initiative to promote more young people getting involved in the skilled trades. Longtime “This Old House” team member Tom Silva says the show recently started advocating for a return of vocational education. Silva hopes that by showcasing the building arts college that youth may realize there’s a place for advanced training. ACBA students built an iron gate and pergola for the Ansonborough house. The senior iron class, which had to go through the city’s permitting process, designed, fabricated and installed the gate. A student also was hired by Timber Artisans co-owner Bruno Sitter to help build the pergola. Sitter also serves as chairman of the wood department at the college. 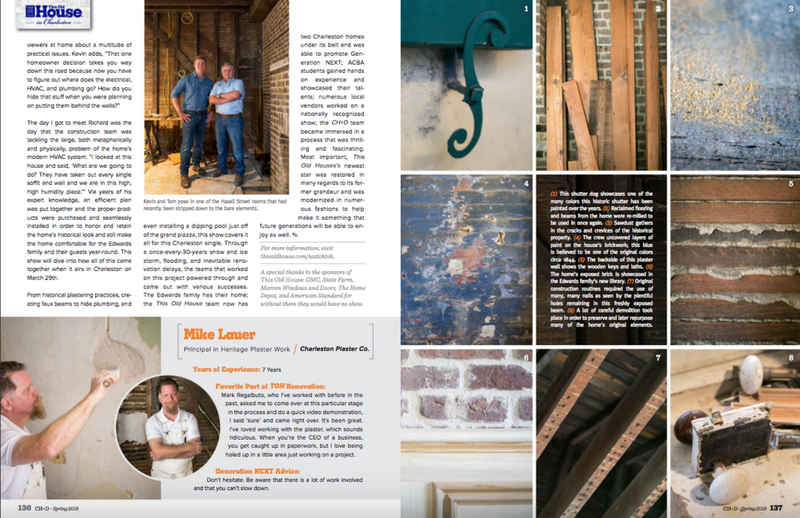 But the locals who probably worked the most with the "This Old House" production are Andy Meihaus and Mark Regalbuto of Renew Urban, who served as the contractor on the Ansonborough project. “ 'This Old House’ is the real deal. There’s no false drama here,” says Regalbuto, who serves on the advisory board of the American College of Building Arts and helped foster the connection between the show and the school. Regalbuto was particularly impressed with longtime "This Old House" team member Silva. 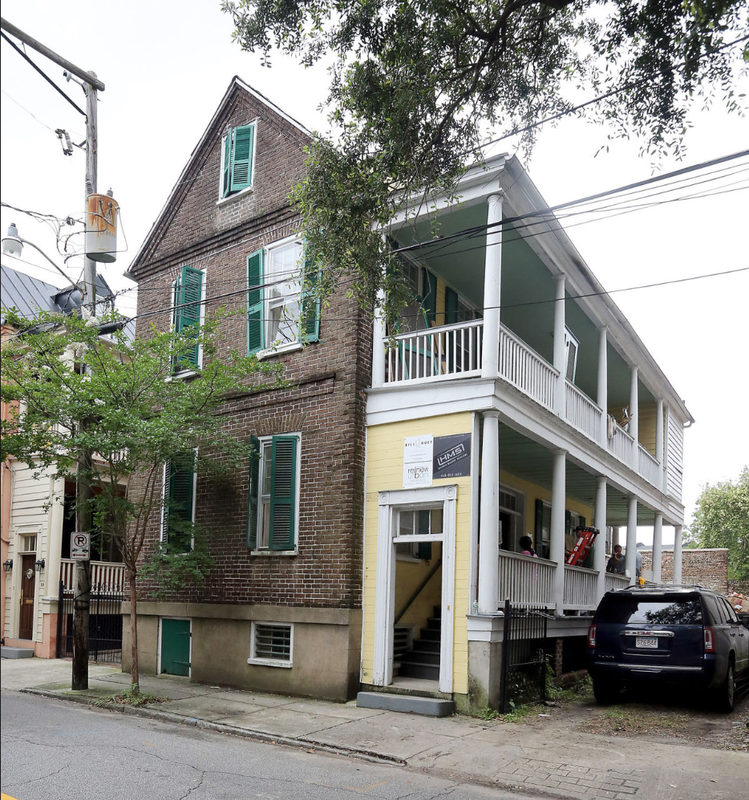 Silva says the challenges of renovating the house, such as falling plaster, dry rot and termite damage as well as a “really outdated bathroom," also included meeting the architectural regulations of the city of Charleston. 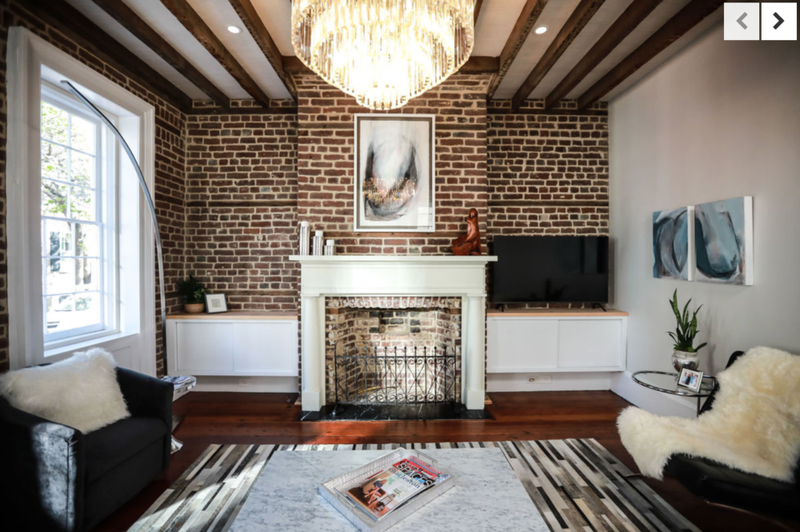 This renovation incorporated mindful historic preservation of the circa 1880s masonry structure while incorporating modern elements like the construction of a new elevator core. 'After' photos taken by Stello Photography. 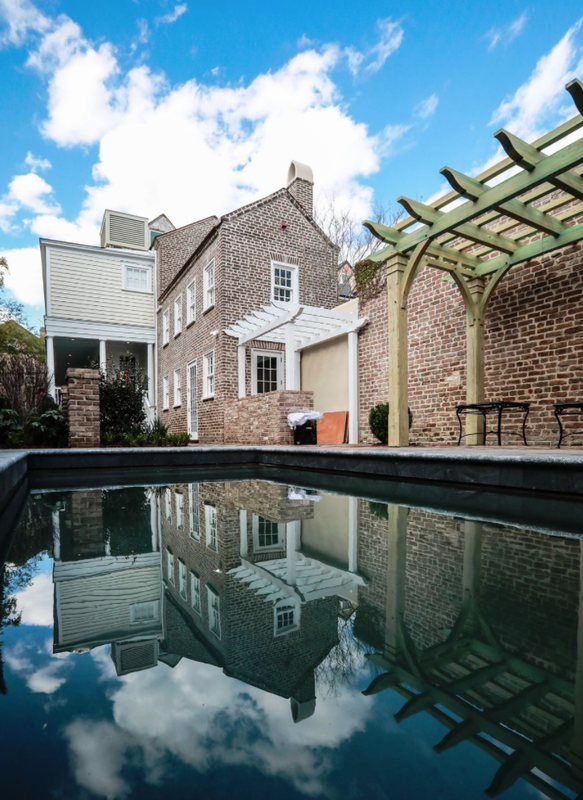 This new construction condo is located in the heart of downtown Charleston. Building on the roof of the Apple Store will make this an exceptionally unique and exciting project. Check out architect Kevan Hoertdoerfer's blog for this property here .